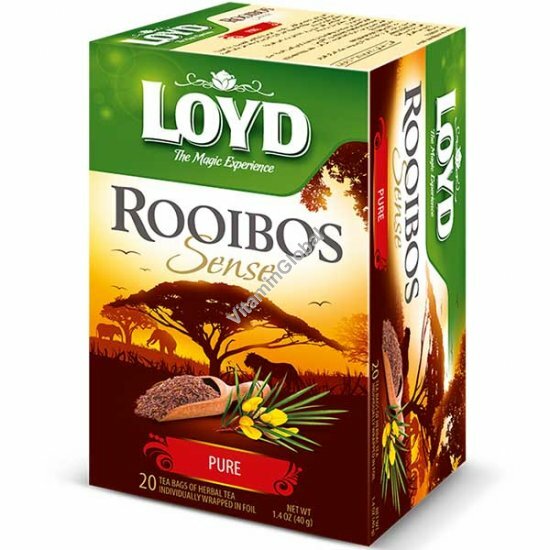 Loyd - Rooibos Sense Pure is delicious with or without milk or sweetener and is also great as a refreshing iced tea. Pour 200ml of freshly boiled water over the Loyd - Rooibos Sense Honey & Madagascar Vanilla teabag. Allow to infuse for 5 minutes or longer for a stronger flavor. Add milk or milk substitute and sweetener to taste. Kosher under the Rabbinical Supervision of "Hug Hatam Sofer".